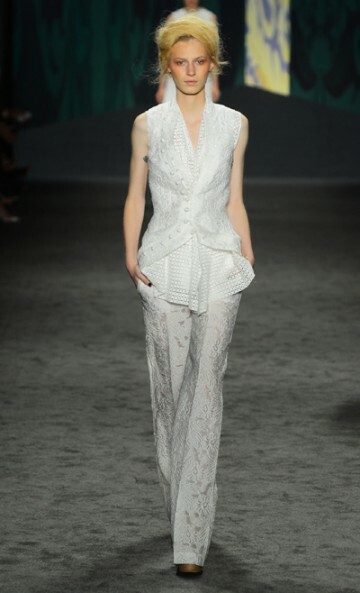 The very talented Vera Wang took inspiration from India's first Prime Minister Jawaharlal Nehru when designing her Spring 2013 collection. From the high necklines, use of gold and brocade, to the silhouettes of the jackets, these pieces were absolutely stunning. Really loving the fit of the clothing and the 3/4 length skirts! Gorgeous piece, the lace overlay on the skirt is beautiful!